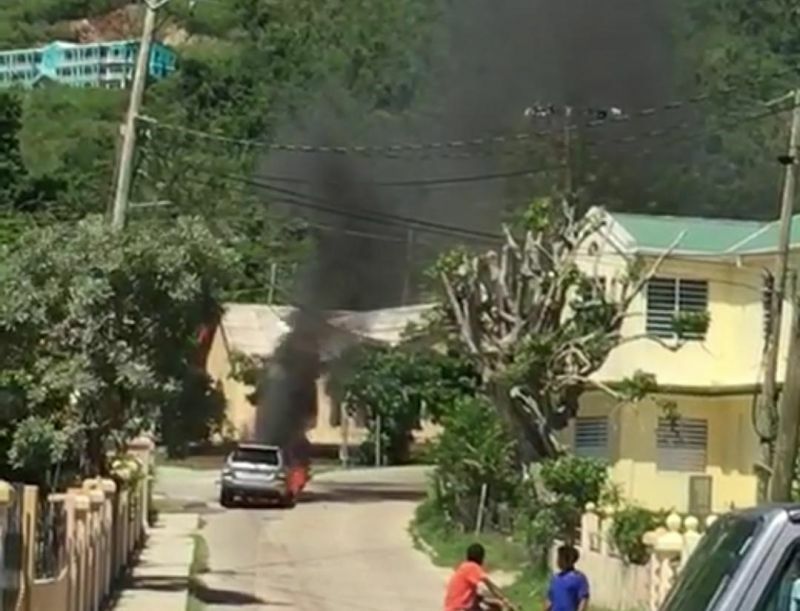 You are here: Virgin Islands News Online » News » PHOTO of the Day: Someone is now without a ride! PHOTO of the Day: Someone is now without a ride! SEA COWS BAY, Tortola, VI – Our roving cameras came across a blazing inferno shortly after noon today, September 7, 2018. It is unclear if there were any serious injuries but what is clear is that someone is now without a ride, after this Sports Utility Vehicle (SUV) caught ablaze in the roadway. The cause of the fire is unknown and the Fire and Rescue Services were summoned to extinguish the blaze. The vehicle was completely destroyed. This is sad. With times being so hard to get by, imagine now being without transport.